Farmstay Cosmetics has been generous in giving out sample products for me to try on. 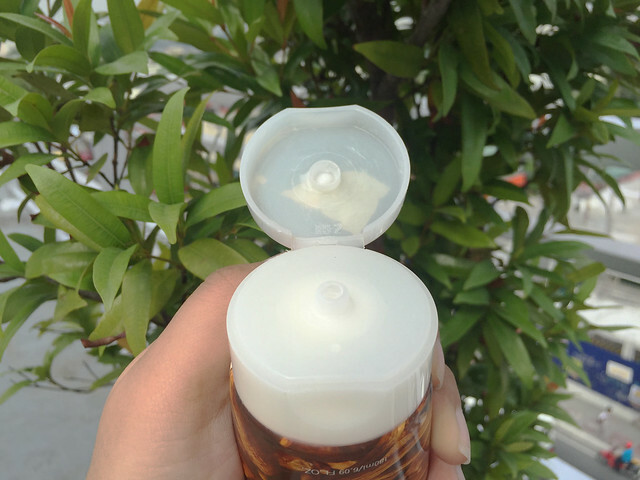 Previously, I was able to review their Farmstay Oil-Free UV Defence Sun Cream here. Tbh, I was happy with the this underrated product that's why I decided to choose three of their products and give it a review here again on the blog. Farmstay Cosmetics products to review soon! 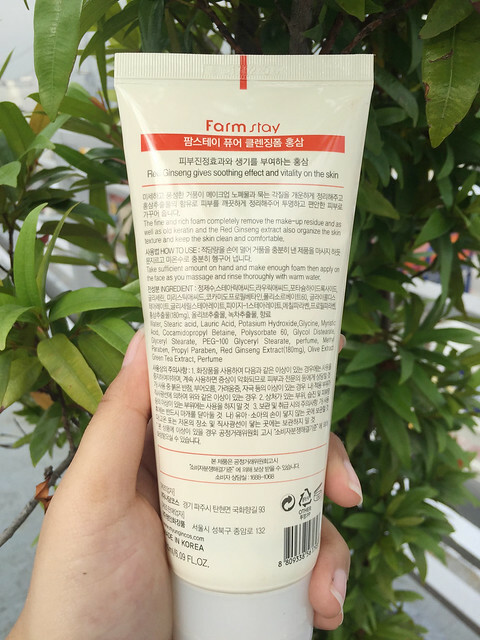 First off, I’ll be starting with my Farmstay Cosmetics Red Ginseng Pure Cleansing Foam review. Before giving a proper review of the product, let’s talk about its main ingredient first: Red Ginseng. It’s a no brainer for Red Ginseng to become a main ingredient on a Korean product because it is indigenous to the said country. *Several medical studies have shown its effectiveness in fighting wrinkles due to ginseng’s ability to boost skin-firming collagen. The herb also acts as a whitener, giving the skin a brighter and more youthful appearance. 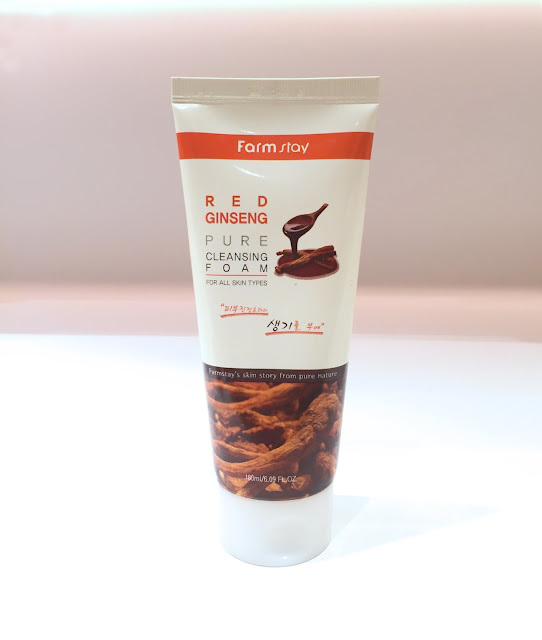 Farmstay Cosmetics Red Ginseng Pure Cleansing Foam is a revitalizing foaming facial wash that contains Red Ginseng extract to completely remove makeup residue from the skin and keep it clean and comfortable at the same time. 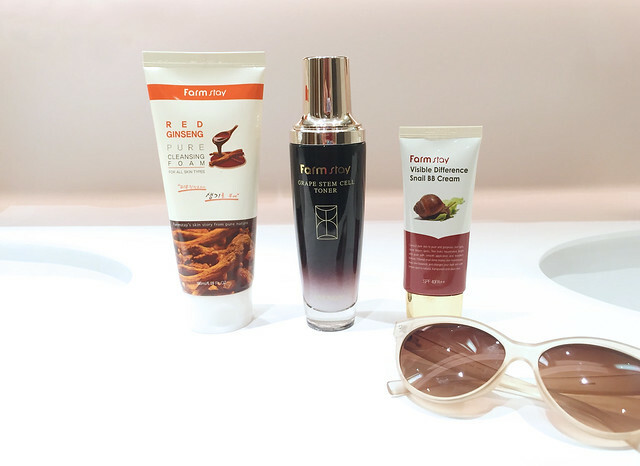 Also, it is mentioned that the product is perfect for all skin types. Right now, the product retails for Php 300 online. Like other cleansing foams, this product comes in a squeezable tube. There are Korean characters at the back of the tube but translations are present as well. Application: I took a moderate amount in palm and lather up with water. Then, I gently rub the lathered foam onto the whole face and massaged it into skin. Afterwards, I rinsed my face thoroughly with lukewarm water and followed it with daily regimen afterwards. 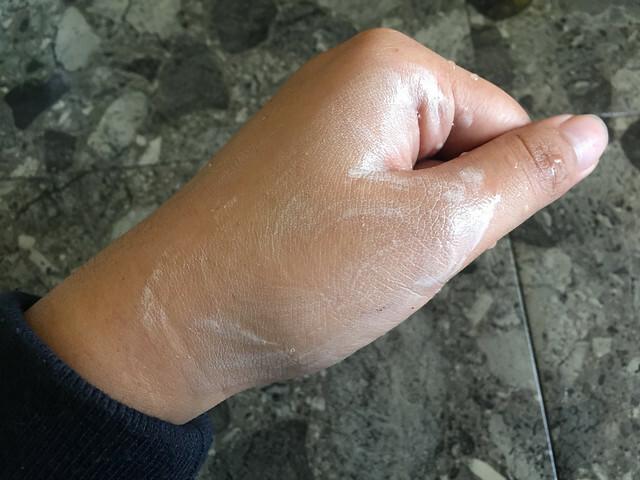 Since I'm reviewing a cleansing foam, I thought I’ll give it a try in removing my makeup products applied on my wrist. Just to share with you, I almost always find myself lazy at night after a long day at work that’s why I rely on my facial wipes for a quick fix. I drew on my wrist using the makeup products that I use on a daily basis which are the Farmstay Cosmetics Visible Difference Snail BB Cream, Etude House Drawing Eye Brow Pencil, FS Cosmetics Coral Blush, and Maybelline RosyMatte Soft Pink. I say no sweat in terms of washing of the makeup residue on my skin! It can be noticed that my skin got smoother and tad brighter plus no traces of makeup can be seen as soon as I washed it off with the product. * Smell: The ginseng smell came in a little strong than I thought. Farmstay Cosmetics is available on Mcdell Showroom in Cubao, www.mcdellbeauty.com, Lazada, Beauty MLA, and Zalora.